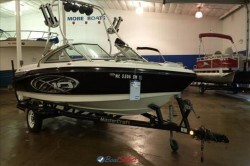 Description: 2003 Mastercraft X-10 wakeboard tow boat: Get behind this clean wake board tow boat an wakeboard like a pro, with its BIG V-8 power plant in-board engine. It?s all about the best fun on the water. It is ready to goand has been cheked out by our own techs. It can be viewed in our warm well lit show room at the Skipperbuds location in Bay city, MI.